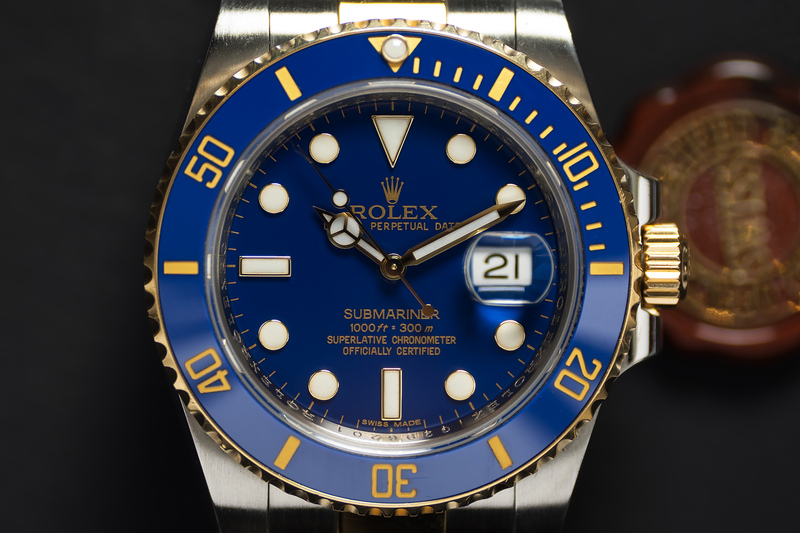 Available through trade-up is this 116613LB Submariner which was purchased by the first owner in December of 2011 at Bucherer Jewelers in Dusseldorf, Germany. 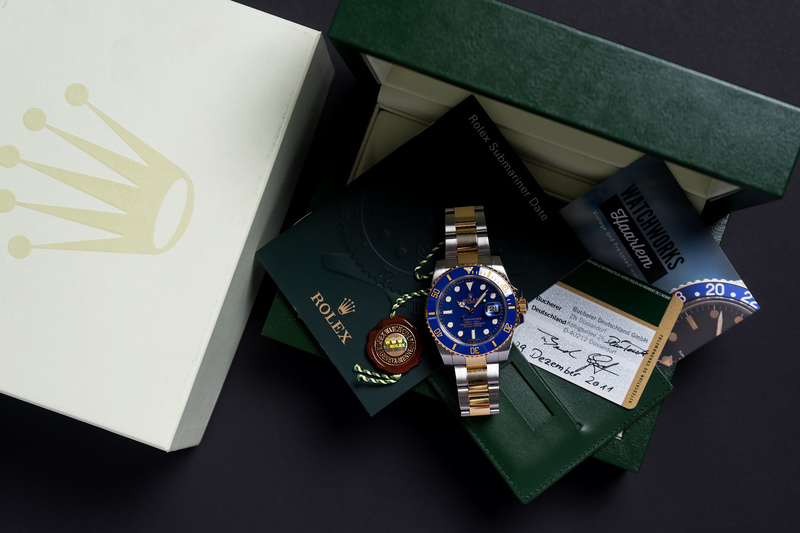 The Sub is accompanied by its original boxes, warranty and booklets and is in an overall excellent condition. 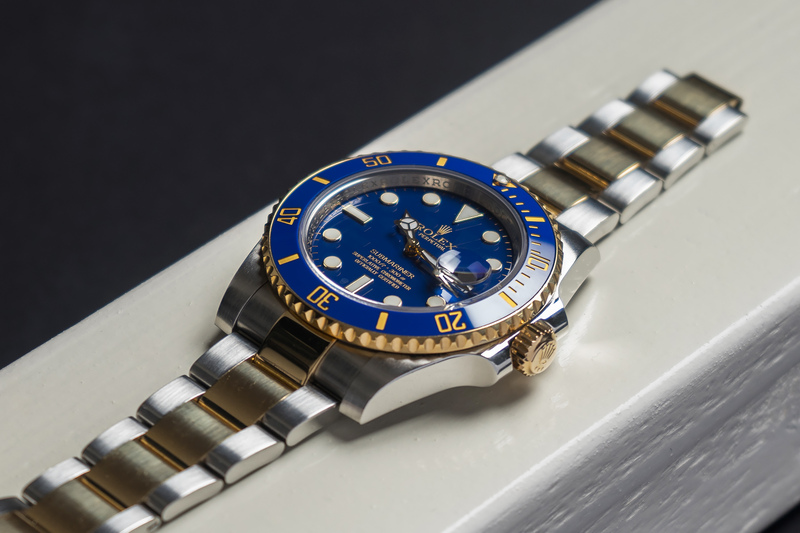 The amazing and vibrant flat blue dial is characterized by a beautiful thick gold printing as well as by hour markers machined from 18 ct gold – theres a perfect harmony between these two details especially when the dial hits direct sunlight! 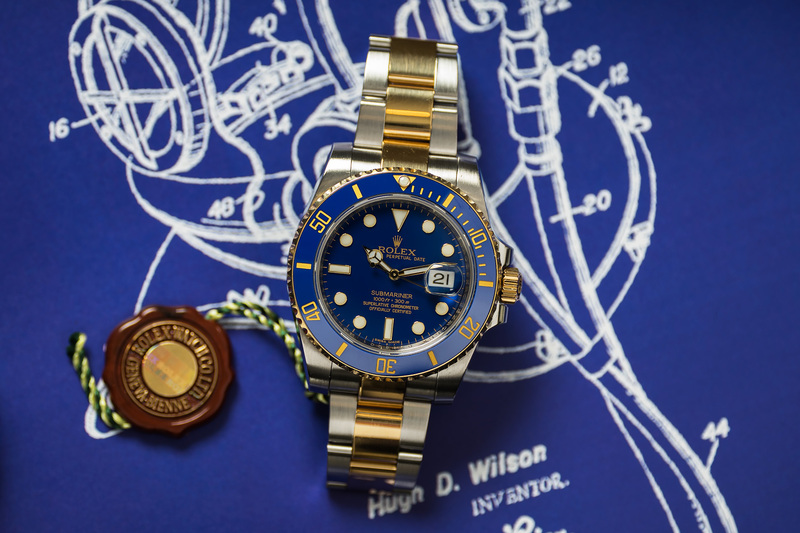 Every Rolex dial is designed and manufactured in-house, largely by hand to ensure absolute perfection! The Rolesor Oyster bracelet is robust yet very comfortable. 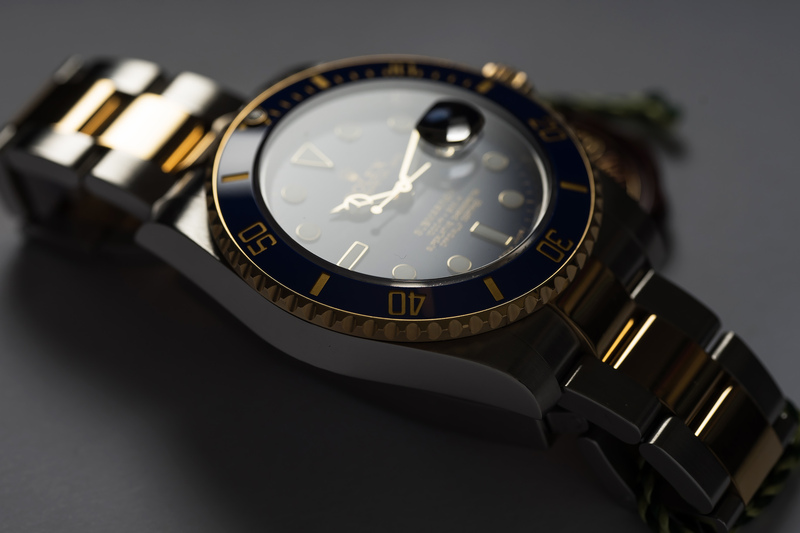 It is equipped with an Oysterlock clasp, which prevents accidental opening, and features the ingenious Glidelock, allowing fine adjustments of the bracelet without using any tools – and allowing it to be worn comfortably over a diving suit. 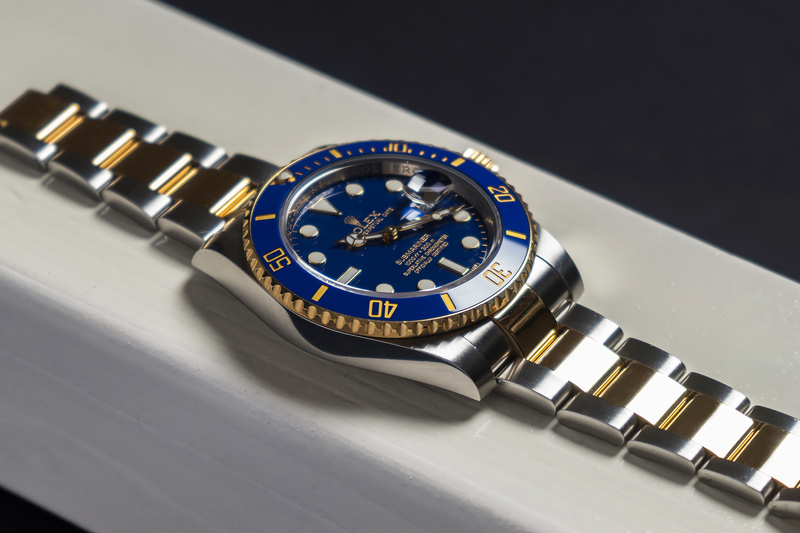 This Ceramic Submariner is equipped with Rolex’s calibre 3135. Like all Rolex Perpetual movements, the 3135 has successfully passed the Swiss Official Chronometer Testing Institute (COSC) tests. It is fitted with a Parachrom hairspring, offering greater resistance to shocks and to temperature variations. This Submariners movement, the case, crown and bracelet were fully checked and the watch was waterproof tested by our watchmakers. The watch will be sold with a 12 month warranty.